Executing HFE studies internally is often far more complex and time-consuming than drug delivery device development teams realize. 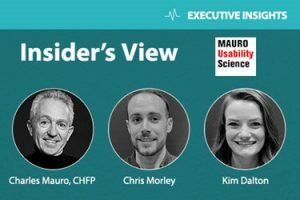 MUS recently published part one of a two-part article detailing the factors that need to be considered by device development teams in order to produce high-quality usability testing data appropriate for decision-making and HFE optimization while maximizing cost-effectiveness. The U.S. Food and Drug Administration (FDA) is increasing demands[i],[ii] for drug delivery device developers to demonstrate the human factors engineering (HFE) effectiveness of their devices and related labeling systems. Therefore, rigorous HFE usability testing is required to ensure a given medical device meets HFE standards prior to submission for FDA approval. Keep an eye out for part two of this series in which we will describe in detail how device development teams can best understand and manage the costs of high-quality usability testing, should they decide to retain an independent testing agency.